I've looked all over the internet with not a lot of luck. Does anyone have a NOS set tucked away somewhere they would be interested in selling to me? 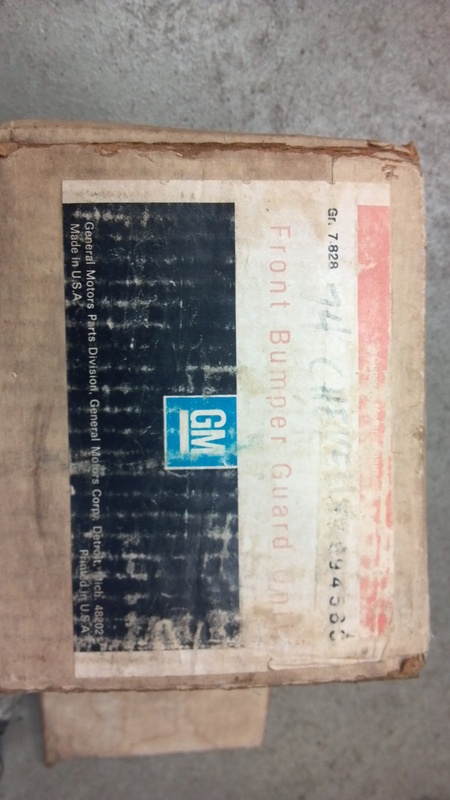 If not, does anyone actually know the GM part number for them front and rear? I really only need the rubber as my chrome guards are good. It's just the rubber that has crumbled away. But I am willing to buy complete guards though if need be. Thanks! I just checked my parts manual and it only lists the 1974 chevelle. No mention of the laguna. 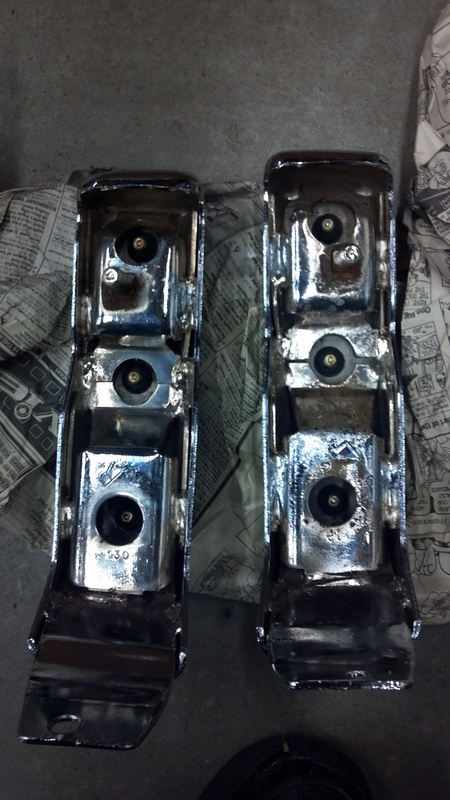 Are the bumper guards the same chevelle which would have the chrome bumper vs. laguna with the rubber nose ?? I have no idea if the above numbers have been superseded. But its what I have. Good luck with the search..
Also, if you google 1974 chevelle parts wiki you can get into the dealer parts catalog and diagrams. Real pain to navigate but it does work. It doesn't actually list bumper guards in the parts book for '74 Laguna but you definitely have them. 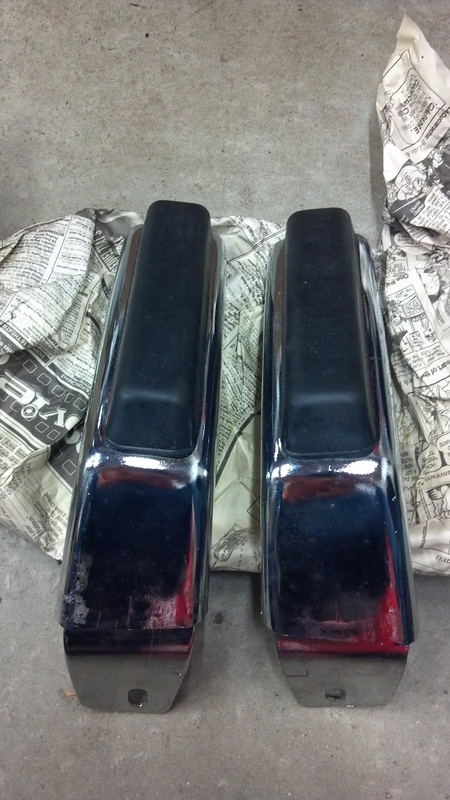 I have a set of NOS '74 Chevelle bumper guards, Front. Look at the pictures and compare the contour of the guards. You probably want white cushions? These are black. Thanks everyone for the quick replies. Jerry, could you possibly measure just the rubber on those for me? The shape of the chrome guard is all wrong to fit on mine, but my guards are in good shape. It's just the rubber that's shot. So maybe I could still use the rubber from yours. How much are you asking? And would you be willing to sell just the rubber if the size is correct? 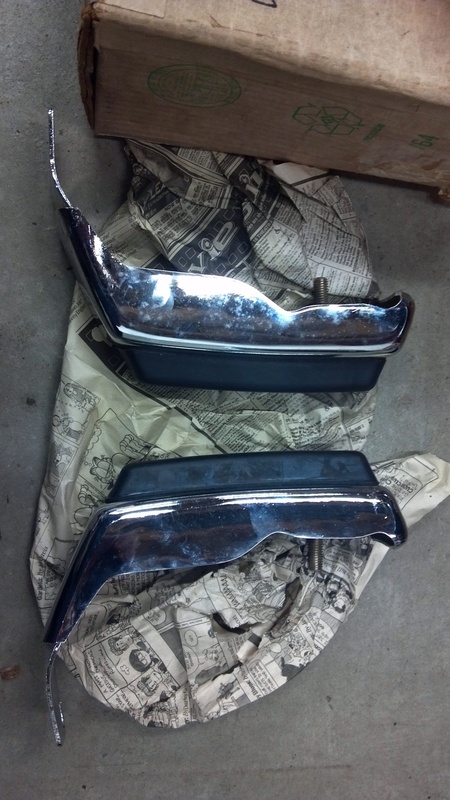 jerry46765 wrote: It doesn't actually list bumper guards in the parts book for '74 Laguna but you definitely have them. 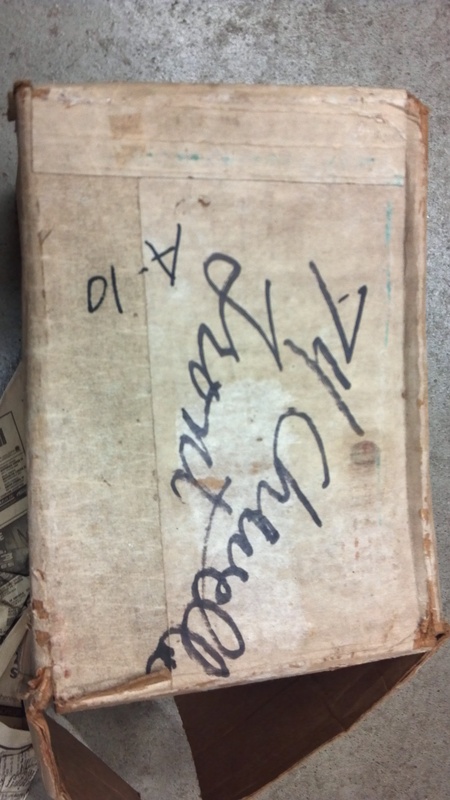 The guards were sold last summer, but let me look around. I have a lot of parts. Please PM me with your email address and we'll go from there. » Front drag or rear drag reel? » ATV MX FRONT & REAR TIRES NOW AVAILABLE!